This ministry is the longest standing program at Nueva Esperanza. As a college student, Barbara had heard stories from her roommate about Honduras and its people. She was shocked to hear about the situations many of the children faced, and when the opportunity arose to work in Honduras, she felt called to help. After hearing that many parents were leaving their children home alone while they worked, she had the idea to open Nueva Esperanza. It started out small with just 10 children in a church sanctuary. Through the years, the ministry has become larger than anyone could have imagined. The children’s ministry still has the same overall mission as it did all those years ago. Our mission is to care for children whose parents or other relatives find it difficult to provide for their basic needs during the day. For most families involved in our ministry, an arduous day’s work is crucial in providing for the needs of each person in their household. Without someone to look after their children, parents have to make the choice to either stay home, take their child to work with them (in the rare case that they are allowed), or leave the child at their home by themselves. Considering that most children come from backgrounds that reflect extreme need, and that the areas they live in are deemed among the most dangerous in the city, staying at home alone is an undesirable option. Nueva Esperanza provides a program that works towards the holistic growth of each child. Most importantly, our care ministers the love of Jesus Christ to each one of the children amidst the difficult circumstances they face. Most children at Nueva Esperanza are typically enrolled as young as the age of 2. However, before they are a part of the ministry, all children must go through a selection process. It is required that a parent or family member of the child fill out an application where they are asked a series of questions that shed light on the reason that makes it difficult for them to take care of their children. Once applications are filled out, the selection process begins with staff members reviewing all applications. It is important to note that children with the most need take precedence, while parents and their commitment to bringing their child is also taken into consideration. The last thing to be done is an evaluation to see how well each child will adapt to the routine at the ministry. Once their ability to thrive within the routine is proven, the children are enrolled. The preschool children enrolled in our ministry arrive around 7:30 in the morning every Monday through Friday. After being served breakfast, they are taught good hygiene habits. They brush their teeth, wash their hands, and teachers discuss the importance of taking care of their bodies. After this, academic classes start. The preschool classes taught in our ministry focus on basic subjects that are new to the children. They listen to bible stories and learn about animals, colors, and the Spanish language. Our kindergarteners are taught to read and write. They are all given a healthy snack and lunch too! Most of our preschool children leave the ministry to return to their homes around noon. In some cases, parents pay a nominal monthly fee to have their preschool kids remain at the ministry until late in the afternoon. The elementary children arrive at noon after school is done for the day. They are given a short recess before being fed lunch, and afterwards they have an hour to do their homework. During this time, teachers are available to help them with any questions they have. They then have classes that reinforce what they are learning at school, covering a wide range of subjects such as Spanish, Math, and Social Studies. They are given other fun classes that are not offered in the public schools like Art, Sewing, Physical Education, Bible, and Computers. A typical day ends around 4:00 pm. Many of the children enrolled, as mentioned previously, come from difficult backgrounds. They live in dangerous neighborhoods within the city, some in extreme poverty, while others have lost family members to violence. Whatever situation they may find themselves in, Nueva Esperanza is a safe place where our children can come. They are given love, attention, and discipline in a manner that showcases Christ’s love for them. They are taught to make good choices and are raised to become responsible human beings with the ministry’s encouragement. Our children’s program is funded through supporters who choose to become child sponsors. Our children are impacted through the love and generosity of those sponsors as well. Nueva Esperanza works with the children in hopes of developing positive attitudes and mindsets that will propel them forward later in life. 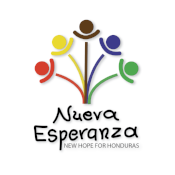 All children involved in Nueva Esperanza’s ministries can be sponsored by anyone willing to pay a consistent amount of money to help cover the cost of their needs. It is through sponsorships and donors that Nueva Esperanza is able to cover the costs of running itself and ministering to others. Their generosity pays for teacher salaries, food, clothes, maintenance costs, and so much more. 100% of donations are used to take care of the children. If you’d like to know more about sponsoring a child, please click here.